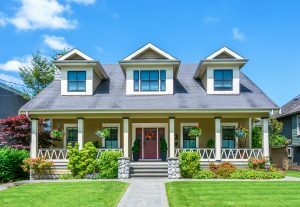 Is your home missing that “wow” factor? With the new year behind us and Spring just around the corner, Team Honeycutt often gets calls wanting our agents’ advice on what home improvements to include and which to cut out for resale purposes. 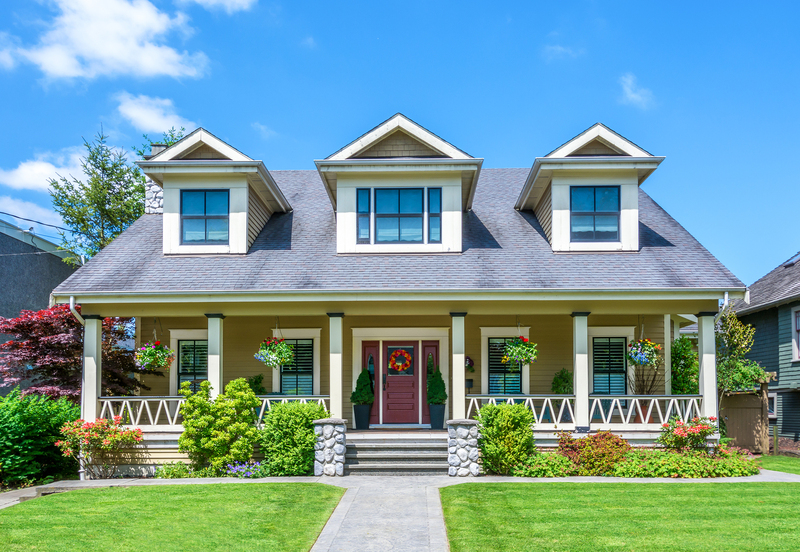 While HGTV make DIY home projects look easy and affordable, many home owners looking to sell do not need to max out their spending on home improvements for the greatest ROI. Many homeowners believe they can make dollar for dollar gains on home improvements, if not more. This simply is not true. In fact, homeowners only see an increase in value by roughly half of the money spent towards those home improvements. So if you spend $20,000 on updates, only expect to see a $10,000 increase on your value. This is why it is important to make the right decisions in choosing which home improvements to make. Below you will find Team Honeycutt’s top 5 recommended home improvements and the ROI that each improvement should bring. We hope this helps you make the biggest impact on your resale value with the lowest impact on your wallet. The kitchen has become a main focus point many buyers are wowed by that may drive them to submit an offer on a home for sale. 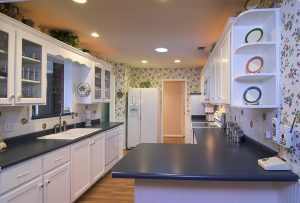 Many sellers know this and therefore choose to update their kitchen in hopes of a higher list price. 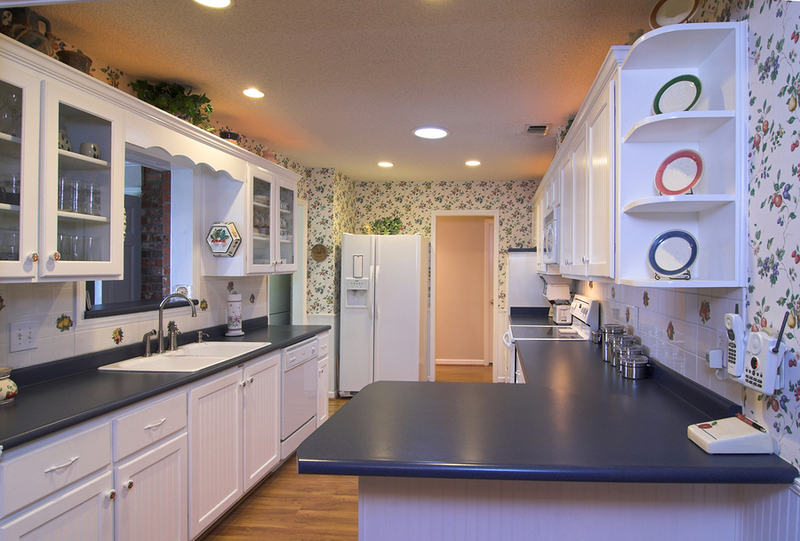 You do not have to redo everything in the kitchen to wow prospective buyers. A fresh can of paint on walls and trim, in place of dated wallpaper or damaged walls, will give the kitchen a clean and updated look. These kitchen cabinets have been repainted and now all that is needed is the update the wallpaper with fresh paint. By sanding down and repainting current cabinets, and replacing old handles and fixtures for new ones throughout, you will avoid the cost of purchasing custom cabinets and paying for installation. If the counter tops are dated or damaged then new, solid color, counter tops will give the kitchen a sleek look without the price of a complete remodel. According to the 2019 Cost vs. Value Report, by a magazine called “Remodeling”, a minor kitchen remodel in the greater Charlotte area has approximately a 89% ROI, while a major kitchen remodel ROI is only 66%. This home has just the right amount of color in the landscape to stand out from the competition. No, you do not need to grow a garden and put in a fountain, however, trimming overgrown shrubs and trees will make your lawn appealing when potential buyers drive up. You don’t have to have a professional green thumb but adding a pop of color will also go a long way. You can pick one color and get a small variety of plants with with that color to spruce up your lawn. If you already have a few plants and they have grown large, you can even disperse the and create additional plants from them. The average ROI for landscaping is over 100% according to Cornerstone Home Lending. A shining white tub will brighten the bathroom without the expense of new tile or more costly updates. 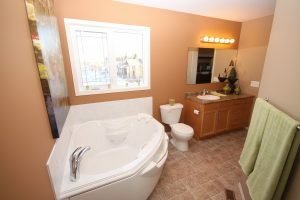 According to the 2019 Cost vs. Value Report, a full bathroom remodel provides an average of 76.3% ROI in our market. While this would involve new paint, new tile/hardwoods, new vanities, new toilet, and a new tub and shower, along with possibly new piping and water connections; that is not needed for the highest ROI. Instead of spending your budget on new shower tile and a new tub, choose to re-glaze and re-caulk your current tub and shower. According to Home Advisor, refinishing a bathtub in the Concord area costs less than $500 on average. This will save you the $3000 average it costs to purchase a new tub to have installed. You can spend the money you save to use on a new vanity counter top if your current one is damaged or outdated. Remember the tip of painting dated kitchen cabinets? The same tip applies for dated bathroom cabinets as well. The wooden railing around this home gives an inviting look to draw buyers in. 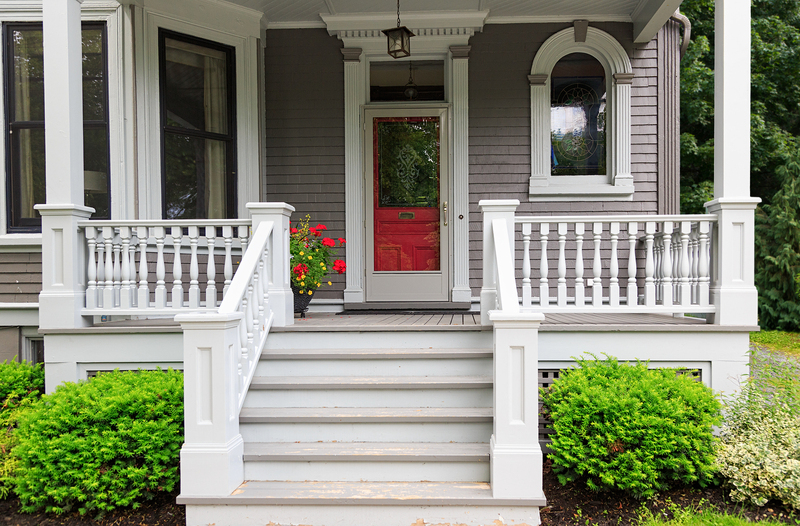 Just like the interior, a fresh can of paint can go a long way on dated siding. Brick exteriors can always be pressure washed to brighten appearance. 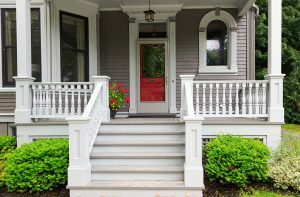 You can also swap dated wrought-iron railings for real wood supports for a more welcoming appearance. You can also paint doors, shutters, and trim. Another tip is to remove dated or worn-out awnings from doors and windows. The average ROI for fresh paint is over 100% and for updated or new doors is 91.3% according to Cornerstone Home Lending. Close up of an old wooden window frame that is home repairs, replacement windows. According to the 2019 Cost vs. Value Report, the average ROI for upgraded windows in the greater Charlotte area is 78.2-79.4%. Many new homeowners are looking for energy efficient products to save money. 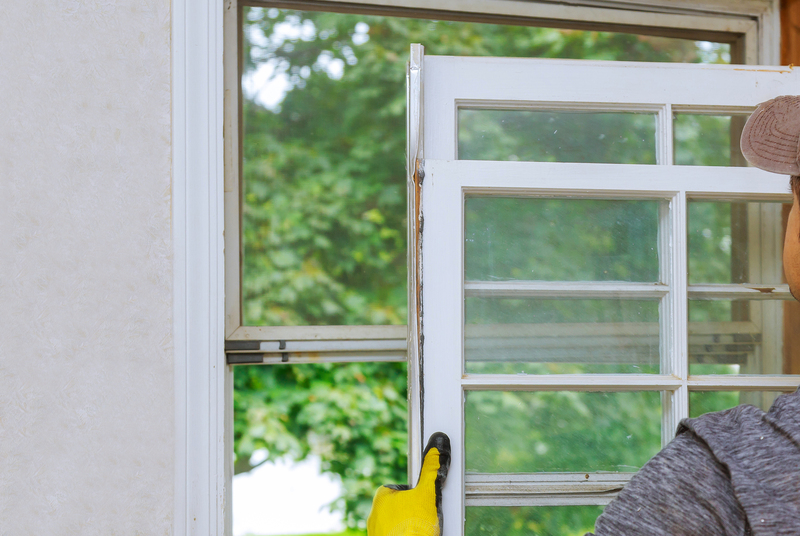 Upgraded windows are a key factor in saving on the heat and air bill. So no, upgraded windows may not be as eye-catching as an updated kitchen, but they are appealing to homeowners’ wallets. Many agents, everywhere, will tell you that real estate is all about “Location, Location, Location.” This is very true, which is why it is important to work with the agents who know your location best. This is why you should trust Team Honeycutt with all of your local market questions and needs. Our agents are always ready to help you understand our local market and trends we see daily. We hope these tips help you in your home improvement process; and, as always, feel free to share your own tips and tricks on the Team Honeycutt Facebook Page. We love your feedback and experiences just as much as we love sharing ours. Call us today at 704-721-7130 or email us at team.honeycutt@allentate.com. We look forward to speaking with you!